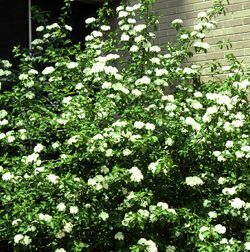 Blackhaw Viburnum (Viburnum prunifolium) is an example of a small tree for under powerlines. This website features small trees that can be planted underneath or near powerlines, in addition to larger shrubs that can be used for screening. The search data includes plants for sun, partial shade or shade, wet, moist or dry soil, plants with showy flowers, fruit or fall color, native plants, evergreens, plants that attract wildlife, plants hardy to zones 3, 4, and 5, different growth rates, and various height categories. 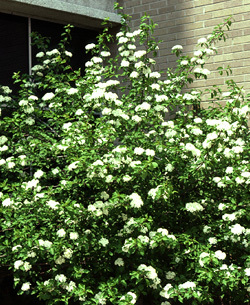 All the cultivars are listed for the smaller trees and evergreen trees and shrubs.